Have You Been Injured in a Car, Motorcycle or Other Accident? If you have been in a car accident, boating accident or motorcycle accident or suffering from another personal injury sustained due to the negligence of another, you might be considering hiring a personal injury attorney. After an accident or injury, you can feel completely overwhelmed. Physical pain combined with financial burdens or loss of income are par for the course for most accident victims. It is common to think that your insurance company will handle everything for you — until they don’t. It is likely that you may not know what to do next. 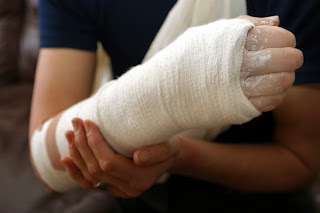 If you are wondering if hiring a Pasco County Florida personal injury attorney is the next logical step, the easy way to find out is through a free consultation. 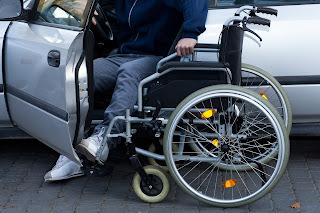 Motor Vehicle Accidents – Should You Hire an Attorney or File Your Own Claims? Whether or not to hire a motor vehicle accident attorney can be a difficult choice. Will the attorney fees be covered if you do hire a lawyer and if you don’t, will your vehicle, medical bills and loss of wages or future disability claims be honored? These are difficult questions that can be easily answered by a personal injury attorney. Doyle, McCabe, Uccello Attorneys at Law offer free case reviews. Get the advice you are looking for by scheduling a free consultation with our Personal Injury Attorneys in Hudson, Florida. If you are not quite sure if you have a case, or if you are hesitant about whether to hire a car accident attorney, this provides you with an opportunity to get your questions answered. For most victims of a personal injury of any kind, this should be the first step you take. We understand that there are times when it may not be beneficial for you to hire a personal injury attorney. we promise to provide you with adequate information and an honest evaluation based on your unique case. READ: Every car crash victim’s circumstance is different and there are many factors that can impact your decision. Negotiators – Most personal injury cases settle out of court. You attorney must have proven negotiation skills? Communication Skills- The personal injury lawyers at Doyle, McCabe, Uccello focus on maintaining above average communication with our clients. We understand that any lawsuit is worrisome, and keeping you abreast of our progress is a top priority. Doyle, McCabe, Uccello, Personal Injury Trial Attorneys – If you need a personal injury attorney in Hudson, Florida we are conveniently located in Pasco County and represent accident victims in multiple jurisdictions in Pasco, Hernando and Citrus County Florida. Injured in a motorcycle, car accident or boating accident in Pinellas County, FL? Call 727-824-5727 or click here for more information.